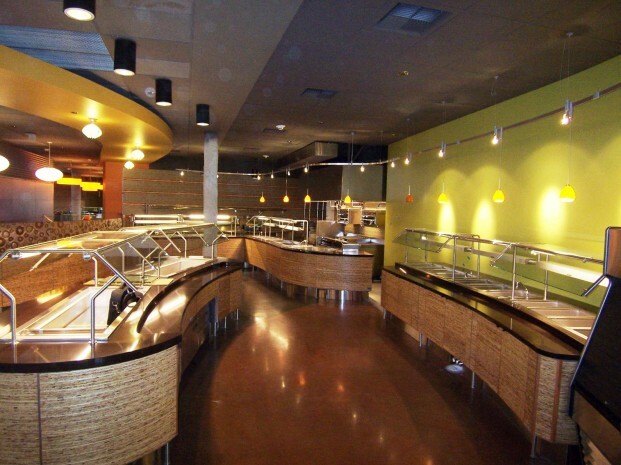 Ten separate major food service concepts plus two coffee outlets in the Commons with kitchens/serveries and storage facilities just over 30,500sf. In addition design of an Espresso Plus C Store in the lobby/atrium of each of the office buildings at plus beverage program cooler totaling approximately 1200 sf each. Total area for which Consultant has primary food facility design responsibility is approximately 30,500 sf in the Commons and 4800 sf in the office buildings.